The Prime Minister of the Yemen's internationally recognized government, Maeen Abdulmalik, on Thursday threatened the Houthis group "Ansar Allah", which controls large parts of the north of the country, including the capital Sanaa, with decisive military decision in the province of Hodeida west of the country. "The patience of the government will not be long and our options are open, including the military option," Abdulmalik posted on his official Facebook page, seen by "Debriefer" International News Agency. The city of Hodeida and its three ports have been under Houthi control since late 2014, while Yemeni joint forces loyal to legitimate government and Arab coalition have massed at the city's fringes seeking to retake the strategic port. In the same context, the Yemeni "legitimate" government, on Thursday, threatened with using force to impose a new reality on the ground after the intransigence of the Houthis and their rejection of all agreements. "The government's patience will not last long in Hodeidah and our options are open, including the military option," the "legitimate" government spokesman Rajeh Badi said. 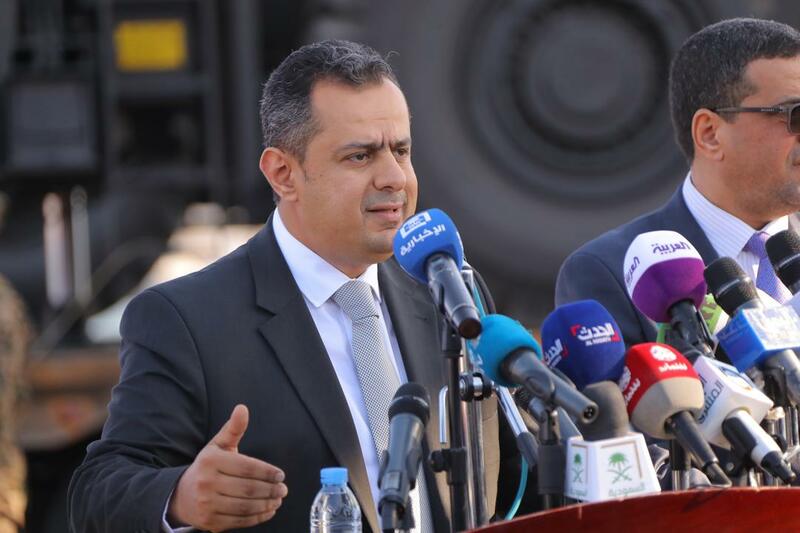 He said in a statement to the Saudi daily newspaper "Asharq Al-Awsat" that since the signing of the Stockholm agreement on Hodeida every day is confirmed to many international actors who were talking about the possibility of a political breakthrough with the Houthis or the implementation of a partial agreement with them that it became a fantasy, and that Houthi group does not understand only the language of the weapon. "If we want peace and this group to be serious in the implementation of its agreements, there must be great military pressure to bow and respond and implement the agreements signed by them. ", he stressed.